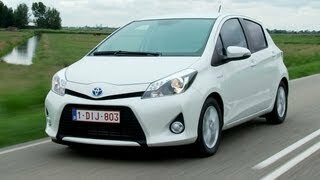 During this year's Geneva Motor Show, Toyota has extended their list of hybrid cars with the addition of the new Yaris Hybrid 2013. The new Yaris makes use of Toyota's highly regarded HSD (Hybrid Synergy Drive) system and combines great fuel efficiency with the agility and other "urban" features offered by the Yaris. 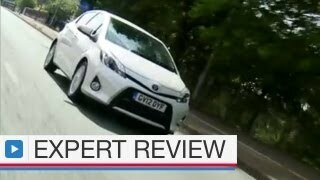 The new model is Toyota's next big step into the full-hybrid European market, so let's take a look at what it can offer. 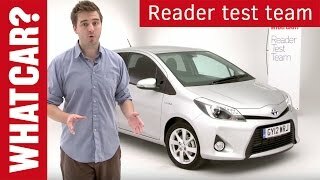 The Yaris Hybrid 2013 will make use of the Atkinson cycle hybrid powertrain that is to be found in the Toyota Prius C, thus it will packs a 1.5 liter VVT-I petrol engine mated with a new, more compact electric motor, inverter, battery pack and transaxle, plus a continuously variable automatic transmission. The package delivers 98 horsepower and a fuel consumption of 3.5 liters / 100km (67 mpg), and 79g/km CO2 emissions. The new Toyota Yaris Hybrid is offered with three trim levels, the entry level, "Life" and "Club". The base model is well equipped and offers dual-zone climate control, power mirrors, central locking, height adjustable driver's seat, electric front windows, two-way adjustable steering wheel, electronic stability control, seven airbags including knee airbag for the driver and LED daytime running lights, everything as standard. The Life trim level adds an Eco-Drive monitor, a Toyota Touch infotainment system featuring a 6.1 inch touch screen, rearview camera, a multifunctional leather-wrapped steering wheel, leather wrapped shift knob, AUX and USB inputs, Bluetooth kit, rear LED lights and a two-way adjustable luggage compartment. Last but not least, the Club trim level adds an engine start/stop system improving on the already low fuel consumption, roof spoiler, fog lights, heated mirrors, air-conditioned glove compartment, electric rear windows and height-adjustable front passenger seat. 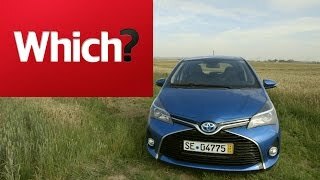 The new Toyota Yaris Hybrid will be available for purchase from Toyota dealerships inGermany starting June 16 and as far as pricing goes the base model will wear a price tag of 16,950 Euros ($21,050 at this morning's conversion rate), the Life trim level will set you back 17,900 Euros ($22,224) whereas the top of the line Club trim level will cost 19,200 Euros ($23,840). The Yaris Hybrid is currently built in the both UK and France, making it the first full-hybrid car to be produced at two facilities in Europe at the same time.